When performed manually, ATM cash management processes typically have internal uncontrolled interfaces, substandard data quality exacerbated by increasing volumes, and systems that are inflexible and do not support reconciliation and reporting requirements. These seven challenges are commonplace, but can be avoided. With the correct technology, ATM cash management can be supported by a cost effective, robust, automated control regime that can help to improve operational performance, mitigate risk and drive up efficiencies. improving the quality of reporting for MI, journals and adjustments, and accounting records. 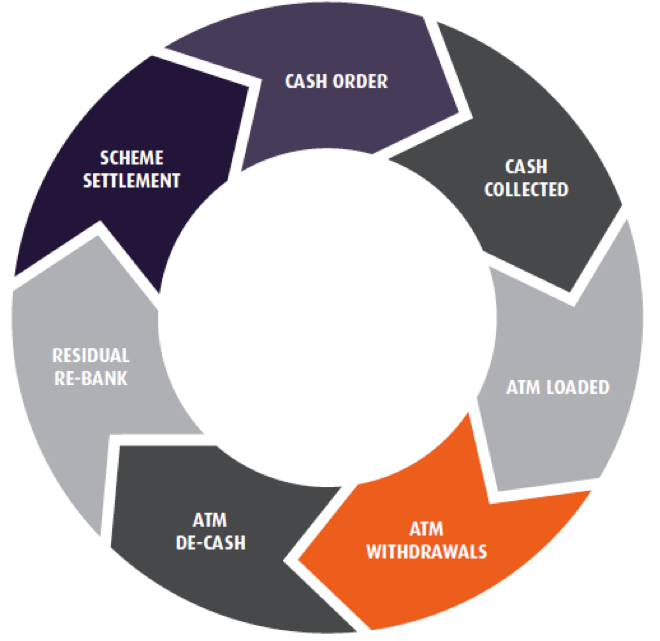 This is achieved by adopting a rules-based approach for ATM cash management. Businesses can then improve operational performance, mitigate risk and drive up efficiencies, in a robustly controlled and auditable environment. Source. Find a solution that will take data in any format from any source. This typically includes your bank statements, cash orders, replenishment data, daily use data, scheme reports for credit and debit cards, countback reports from cash in transit carriers or expected remaining cash reports. Explode. Disaggregate your bulk items into underlying transactions. Data broken down to the lowest level of granularity for each ATM facilitates automatic matching, analysis and remediation. Enrich. Enhance existing data feeds at multiple levels from multiple sources. This may include ATM IDs, cash-in-transit depot codes, ATM location and address, cash type (denominations) and ATM capacity. Account. Use an accounting engine to ensure that transactions and balances are fully accounted for and supported by primary accounting records. Integrity. Employ best in-class technology that will run data integrity and validation checks, allowing users to ensure that data used for reconciliations and reporting is complete and accurate. Escalate. Implement solutions that are “always on” to allow instant and real-time management control and reporting. Configurable case management and workflow functionality allow items to be investigated and corrected within a robustly controlled and fully audited framework. By applying the correct solution, businesses can achieve a cost effective, transparent and actionable control regime that overcomes the seven sins of ATM cash management, fully supporting reconciliations and reporting across ATM networks.